1: Quick release velcro system,available for all kinds of bicycle. 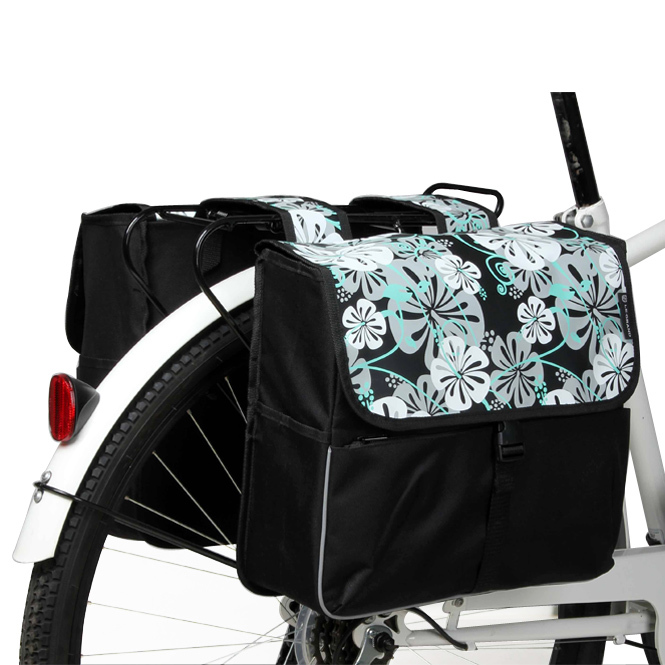 3: The bicycle storage double pannier bag with with PE board for reinforced. Screen print, embroidery, rubber badge, metal badge, etc. 10 days - 35 days after receiving the deposit. by sea, by air, DHL, FEDEX, UPS, TNT, etc.